I have recently become somewhat of a fan of Hudson Soft and their platformers. Our relationship started on the wrong foot, to say the least, but playing the subsequent games in the Adventure Island series was fun enough to get me to look forward to each release on the Virtual Console. I had been waiting eagerly for the release of Super Adventure Island, but isn't this game coming a little too late to impress? The first Adventure Island on the NES was a mess: flickers galore, slowdowns and general ugliness. Technically, it was very flawed. Design-wise, it was ridiculously punishing in the worst way, as I explained in my review of the game. Thankfully, Hudson Soft relented a bit with the sequels. The challenge seems fairer without being overly easy: in my first few attempts, I would exhaust my two continues before the end of the second world, and I think I can call myself a seasoned Adventure Island veteran at this point. Part of the challenge initially may have come from Hudson’s insistence to completely change the way Master Higgins controls and moves from game to game. In this one, he cannot run anymore, and can crouch before jumping to execute a mega jump. It is surprisingly responsive. There is also a new twist with the weapons: there are two types, tomahawks and boomerangs, and every time you pick a power-up, you change to that weapon or upgrade it. 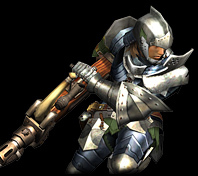 Usually, you get fully powered-up very quickly, and are rarely if ever weaponless. However, never have the weapons felt so imprecise. For some reason, it is more difficult than ever to aim efficiently at an enemy. You have to shoot and pray you will hit the target before it gets you, which is frustrating. This makes the challenge in Super Adventure Island come mostly from the enemies, and not the platforming, unlike the NES game. Several times, I would backtrack while fleeing from a swarm of enemies in order to get a good shot at them. The game allowed me to do so thanks to the vitality bar (which constantly depletes unless you eat fruit strewn around the levels) being much more generous than in previous games. The fruit also never disappears. All of this, combined with the unremarkable platforming, makes for a gentler, easier Adventure. The game looks way better than the NES release, obviously. Tiny young minds must have been blown at the time it was released by the huge, detailed cartoon sprites and the gimmicky use of Mode 7 effects. That’s the thing, though: while I understand the leap from the NES version to the SNES must have been amazing and probably justified the purchase for some, I have seen better. Way better, in fact. In a game released a few months later on the TG-16. And it must be said, the game is crazy short: in just 3 hours, I was done with it, and I don’t really plan on going back to it. New Adventure Island took me barely an hour more to beat, but there is more content there: it has unlimited continues, so I never had to restart from the beginning. In Super Adventure Island, however, that 3 hour figure includes replaying the first couple of worlds (of a total of 5) over and over again. Add to this the fact that the longer, prettier, wackier New Adventure Island costs 2 dollars less than Super Adventure Island, and SAI is not simply a disappointment for me personally, but also becomes impossible for me to recommend to anyone who has not experienced New Adventure Island yet. As a fan, I am still glad I have played it, however, and the score reflects that. It's good that he wears a helmet when he's skateboarding, don't want the kids to get the wrong idea. Running around shirtless throwing tomahawks at snails is okay though. Heyyyy, wait a minute, those aren't the Adventure Island snails!! Why did Turbogrfx retain the far superior classic snails, but the SNES version went the Super Mario Bros.: The Movie route and changed them? So very confusing. I think an endearing quality to many Adventure Island fans are those cartoony enemies, but I didn't see any of them here. But a candle with legs? In a cave?? C'mon, mannnnn. Very good review. I actually quite enjoyed this game when it first came out. I loved the music, though now it seems very dated. I never finished it, though. I reached the last boss, died repeatedly, and got frustrated when I had to go all the way back to the beginning. I'm enjoying your Adventure Island series of reviews, Guillaume! Yes, I was one of those "tiny young minds" that was blown away when this game came out. If only I had known about the TG16! The music IS great. People should definitely check it out... on Youtube. There is also not enough of it. Just one tune per world? Bah. Seriously. I had completely forgotten about the classic snails until DH mentioned them. I do not identify any enemies in Super as snails. I've actually got this cart. Haven't played it in, like, 10 years. Maybe I'll revisit it now. Good review, Guillaume my man. I like seeing you review every Adventure Island game out there It's interesting to see, since I don't often see much discussion or review of the series in general. I agree. Seeing one person review a series really allows you to see them all on a level plane. You know, something that other site would never do. Hate RPGs? Review this! Never played a racing game? Review this! Are you blind? Review this game with small print! Haha, well I'm glad it's appreciated. I figured, "why stop?". And yeah, you don't get to hear about the series that often in general, and that's part of the reason why I bother. Makes more sense to me than to be the 11087th person to review some big hyped game. I expected a 7.0 from your impressions. Thanks for the heads up, I'll check out the TGX version instead. I was kind of afraid it would look like I was saying that the game is both too easy and too hard, but you guys get what I'm saying, right? It's not a cakewalk, but there is just very little game in there.